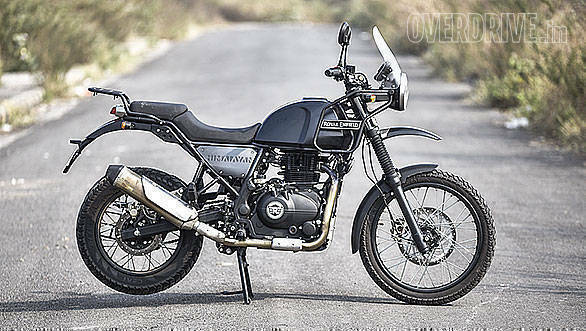 The Royal Enfield Himalayan was a milestone for the brand as it not only broke away from the traditional RE format of classic motorcycles, but also ushered in a new era of affordable adventure tourers. 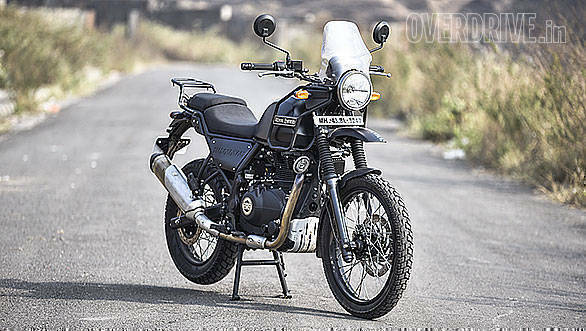 While the Himalayan is likeable in many ways unfortunately it was plagued by several issues, particularly pertaining to the engine that have taken away the essence of what the bike was intended to be - an affordable and hassle-free go-anywhere motorcycle. This has certainly been a disappointment for the new breed of adventure seekers that the company targeted with it. That's a thing of the past now though, as Royal Enfield has launched a thoroughly refreshed and reworked Himalayan for 2018. 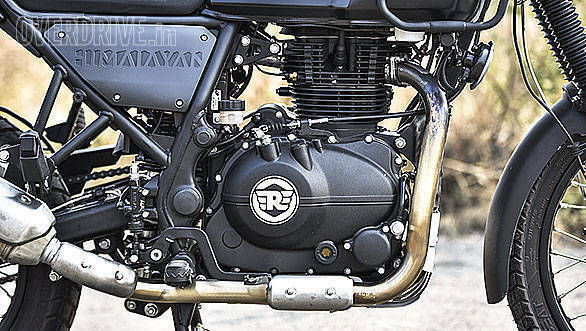 Royal Enfield claims to have addressed all concerns with the previous version, apart from which the 2018 Himalayan also trades in the humble carburetor for a modern fuel injection system. We put it through a thorough test to see how the bike is to ride. 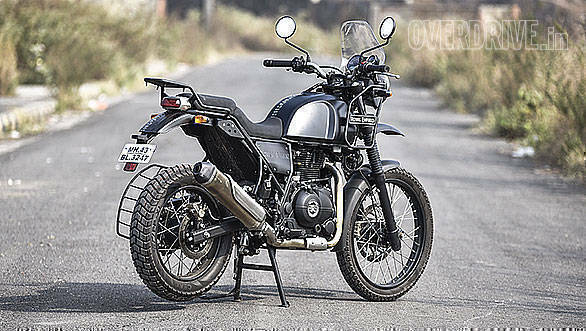 The 2018 Royal Enfield Himalayan looks identical to the previous version, but the engine has received some serious updates. The 411cc, air and cooled, long stroke, single-cylinder engine is BS IV compliant now, and as mentioned before also gets fuel injection. Power and torque figures haven't changed though and outputs still stand at 24.5PS and 32Nm. That said, the BSIV motor feels a lot more refined than the carbureted version, as Royal Enfield has focused on the quality and fit-finish levels of the engine internals a lot more this time around. And during the ride, the differences were noticeable. At idle there's barely any vibration through the handlebars or foot pegs and I was pleasantly surprised. Vibration is muted to quite an extent on the go and is only pronounced close to the top speed, which is around 130kmph. I also liked how cleanly the engine revs, even past its 6,500rpm redline. Most importantly, fuel injection has improved throttle response by miles. It's crisp and precise, allowing you to dial in just the right amount of throttle. The benefits are even more apparent while riding off-road where you need to be very judicious with your throttle inputs. On the road the Himalayan is very impressive as a cruiser and those who like relaxed highway riding will appreciate this character. The improved engine refinement also allows for a higher cruising speed as compared to the BSIII Himalayan. While the carbureted Himalayan was happy around the 80-90kmph mark, the BSIV Himalayan does not mind cruising at 110-115kmph all day long. That said, personally I would have liked some more power and a sixth gear as well, as that would have made the Himalayan a much better tourer thanks to a higher cruising speed. Fuel efficiency has gone up marginally as well, thanks to fuel injection. It's quite easy and natural to stand on the pegs and ride the Himalayan. A common complaint with the previous Himalayan was its engine overheating. Royal Enfield has worked on the oil cooler to improve the circulation of oil around the heat exchanger. Throughout the test, whether in peak city traffic or on open roads at speeds, the engine was far from overheating. As mentioned before, the Himalayan is exactly the same as before, visually at least. It still looks the same and though it may appear a little bare bones to a few, to me its focused design is a winner. Think of it this way, if you were to drop the Himalayan, the damage would be minimal as there are barely any panels. I was also happy to notice the improved fit-finish levels. The weld spots on the frame are still visible but they are a lot cleaner than what we had seen on the first batch of Himalayans. Also, none of the panels came loose, neither were there any rattles throughout our test. Royal Enfield has also worked on the quality of the plastic covers on the various bolt heads, particularly the ones on the swingarm, and apart from looking better visually they also fit better now. 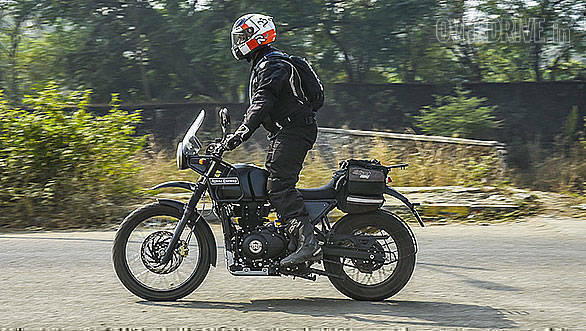 All the changes effectively address the complaints with the BS III version, which is why we're told Royal Enfield took time to re-launch the Himalayan. Royal Enfield has also worked on the brakes. 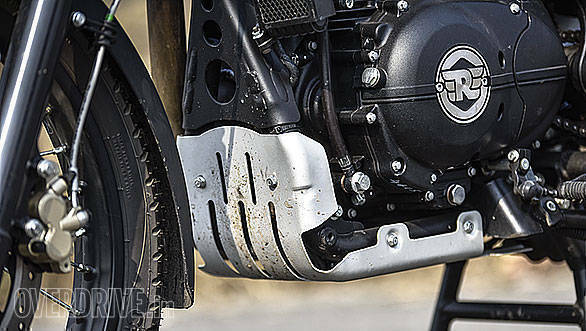 The front brake on the previous version of the Himalayan lacked bite and felt like a big drum brake, but the Bybre units on the new Himalayan offer a lot more bite. There's also better feedback from the lever, though I really would have liked the inclusion of ABS, at least as an option. The other stellar traits of the Himalayan are thankfully left untouched. The split cradle chassis is a gem and the kind of confidence it offers while riding off-road from the word go is unreal. I've not spent too much time riding motorcycles off-tarmac, but the Himalayan made me take to it like a fish to water. It gave me enough confidence to even slide the rear around, without scaring myself silly, or falling off. 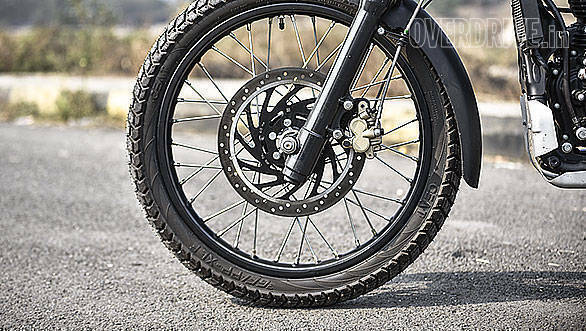 The 41mm front forks with 200mm travel and the link type monoshock (offers 180mm travel) do a stupendous job of isolating the rider from bumps and rocks when riding off-road. On the road the setup is soft enough to gobble large potholes and speed breakers. The Himalayan's pliant ride quality and the resultant comfort it offers has been one of its highlights always, and I'm glad that has not changed. Consider the upright seating position and comfortable seat and it's no wonder the Himalayan is a well-rounded touring package. 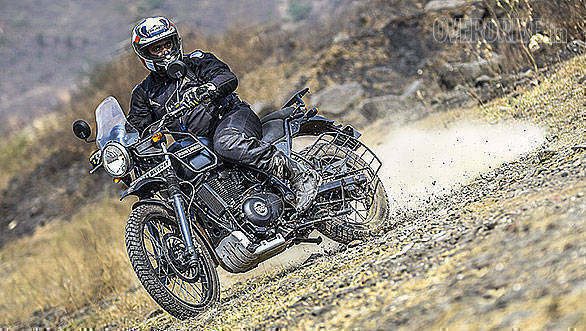 The Royal Enfield Himalayan broke away from the traditional mould of a company steeped in history and brought adventure touring to a wider audience. The Himalayan BSIV effectively takes all the good bits from the carbureted Himalayan and brings in a new degree of refinement and quality. Fuel injection has not only smoothened the engine but also made it better suited to riding at high altitudes, an area where the carbureted Himalayan seemed to suffer. The comfortable riding position, absorbent suspension and strong chassis make the Himalayan a capable adventure tourer, at a very inviting price and the FI version only betters that package. At Rs 2,01,000 on-road Mumbai, nothing else comes to the go-anywhere ability of the Himalayan. If you seek to satiate your wanderlust, the Himalayan makes for a very interesting proposition.